Merlin is the result of our inquiry into a versatile table design that combines ample surfaces with minimal legroom interference. 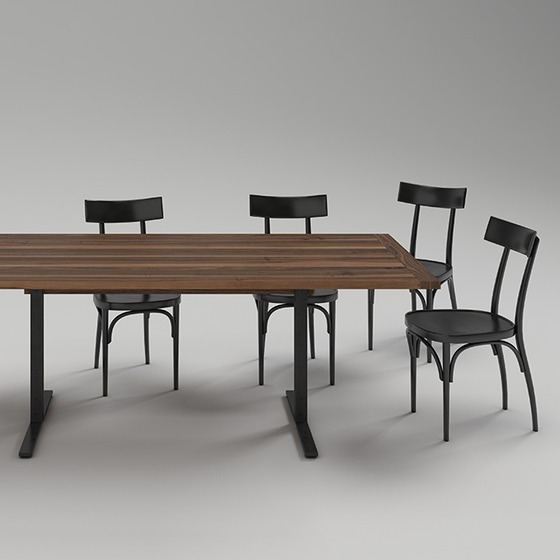 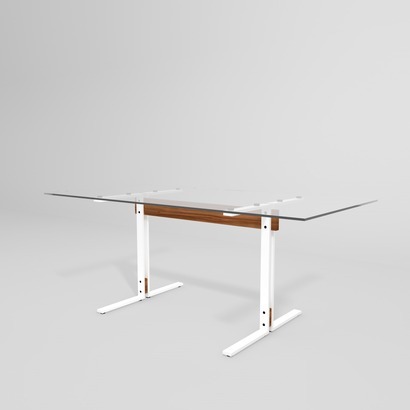 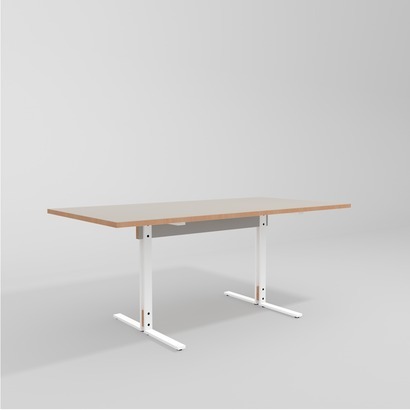 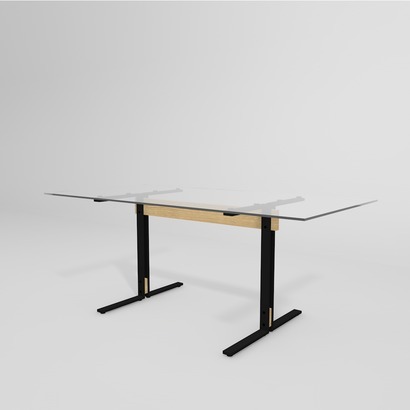 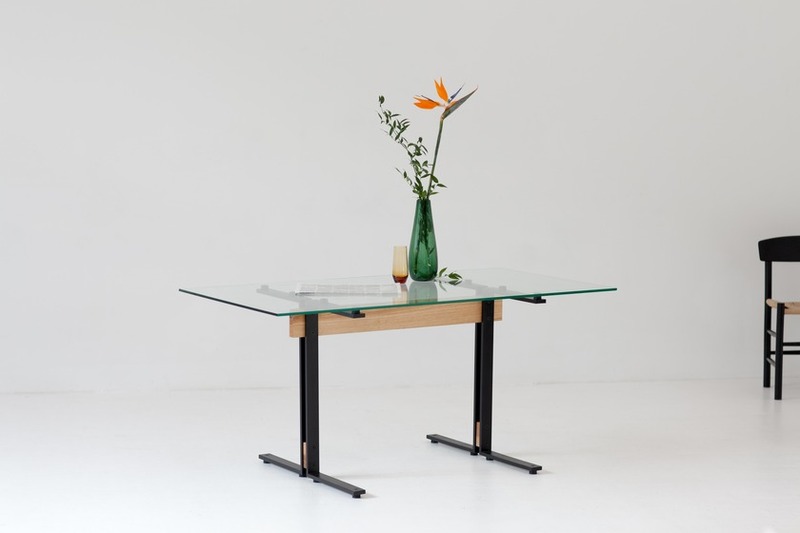 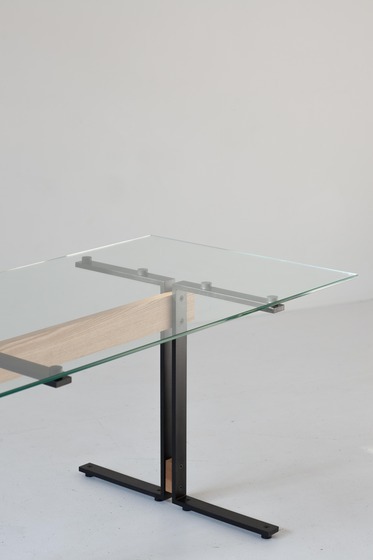 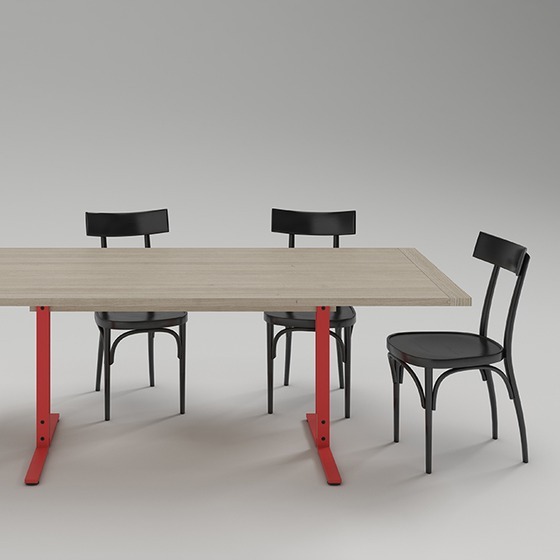 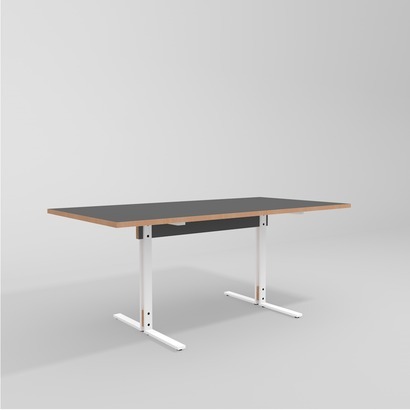 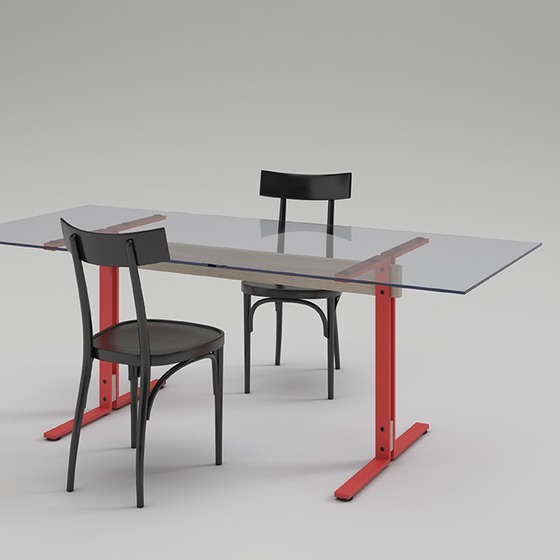 Its structural frame, made from powder-coated steel, delegates all supporting elements to the table’s center while ensuring maximum stability. 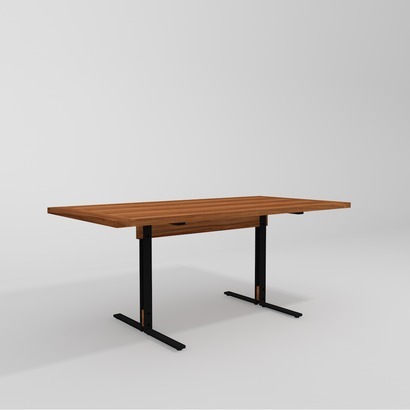 Choose from a variety of frame colors and tabletop materials such as various solid woods, linoleum, or glass to best suit your spatial context – from high-end interiors to casual working environments. The powder-coated steel frame is available in white, red-orange, and black. 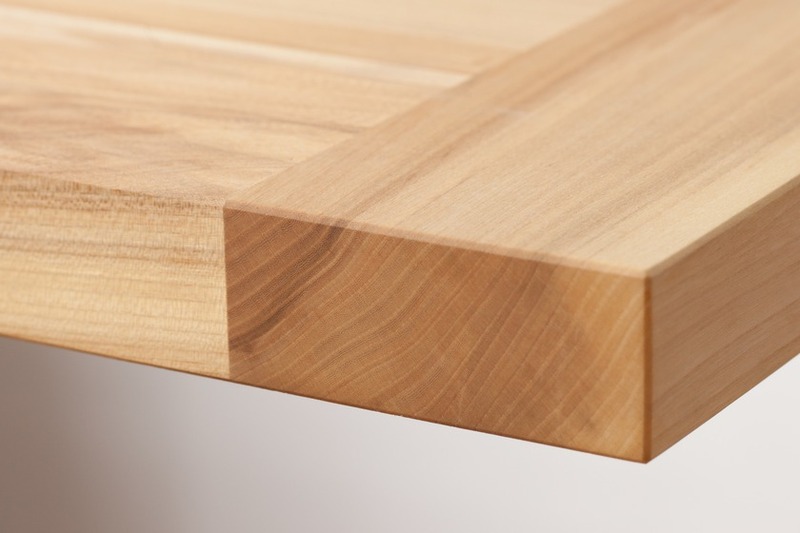 We construct our solid wood tabletops from ca. 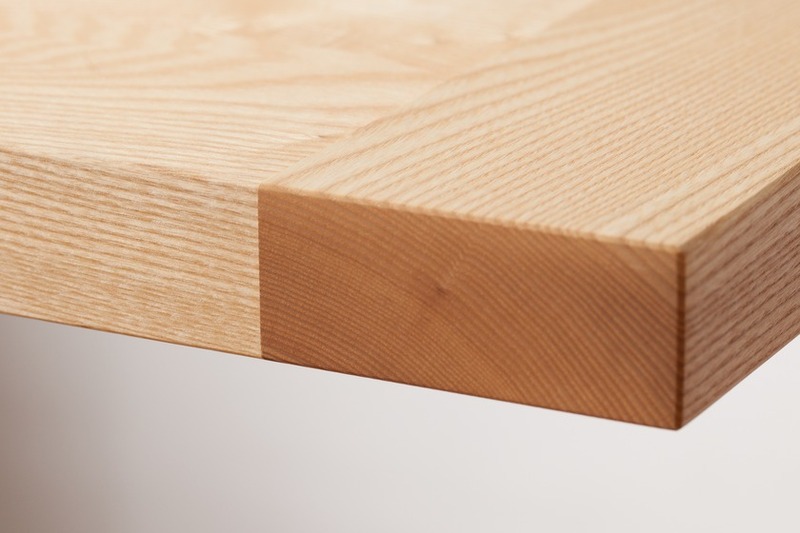 10 cm wide wood slats made from ash wood, oak, elm, or cherry wood treated with natural oil wax. 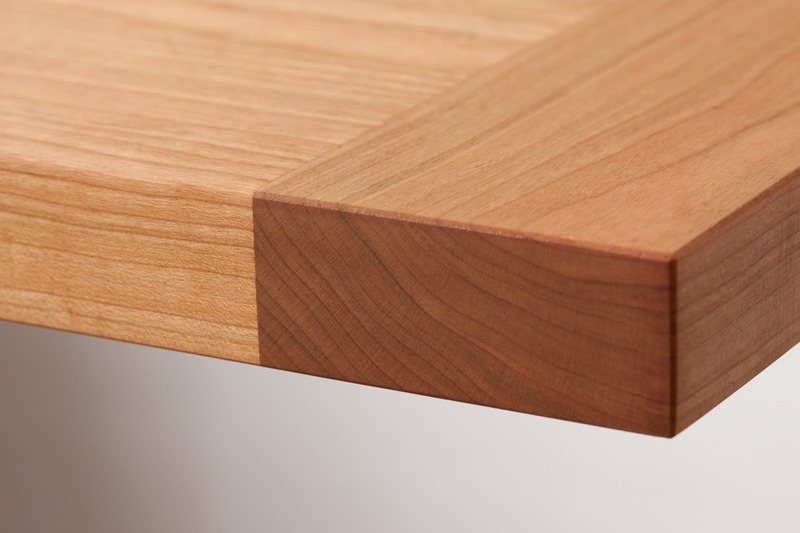 As a special detail, we add a finishing board to all front sides. Linoleum tabletops are made from a base board which is color coated on both sides. 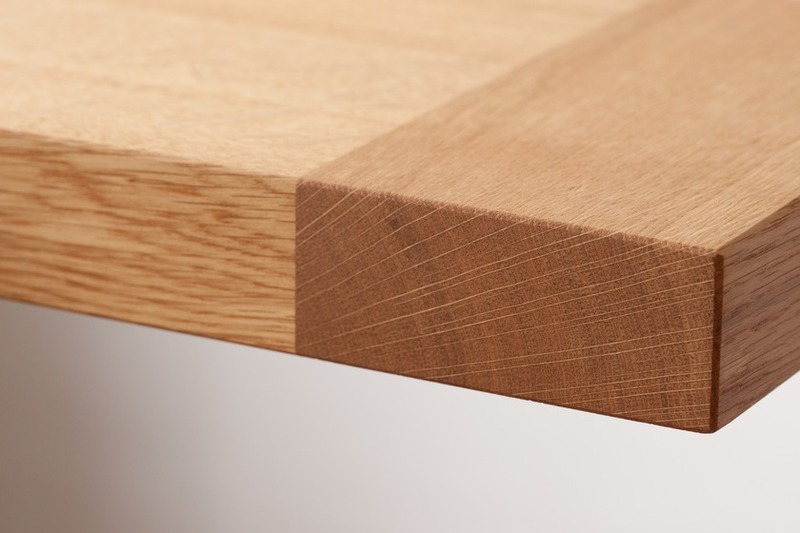 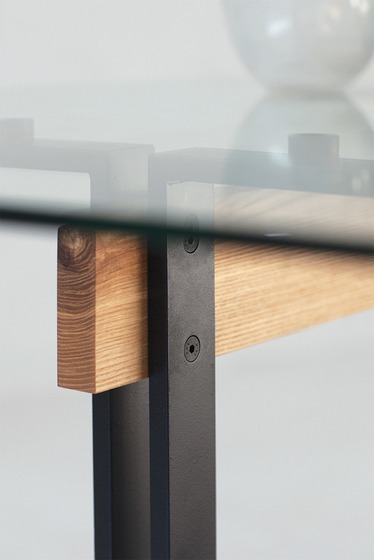 Exposed laminated veneer along the tables edges gives the tabletop its refined elegance. 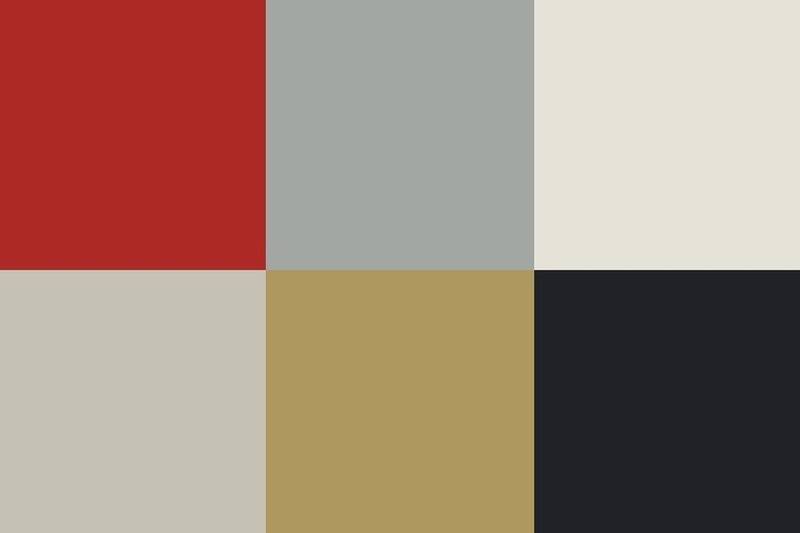 For further colors, woods, and tabletop sizes, please contact us. 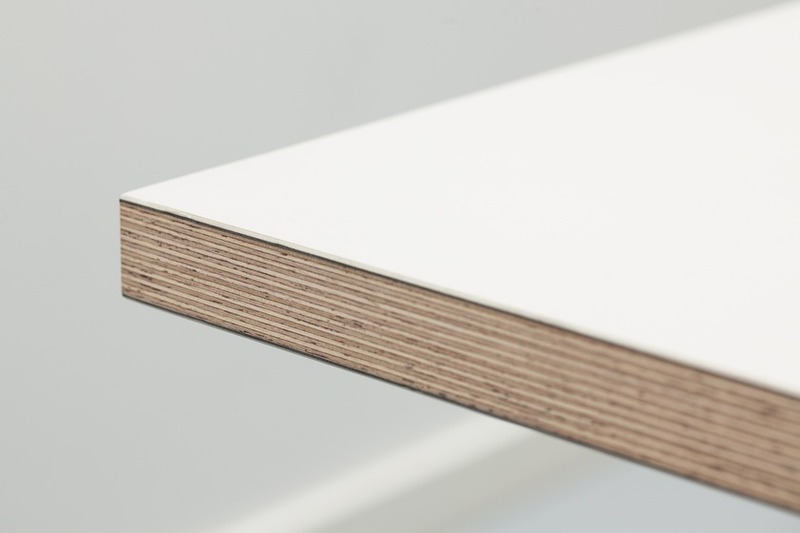 We’re happy to send you material samples. Please contact us for further consultation. 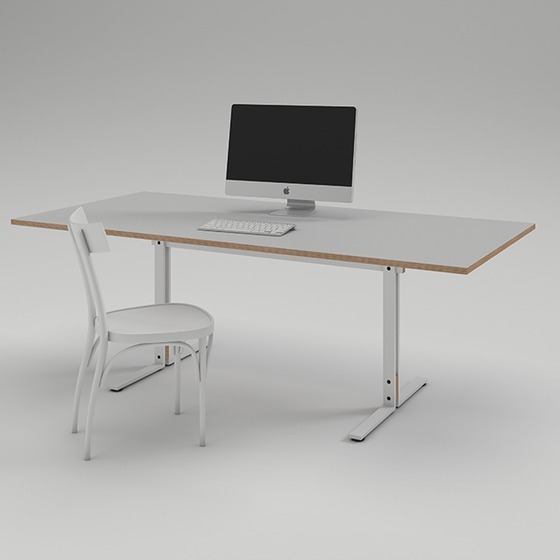 Merlin is delivered as a construction set that is quick and easy to assemble.